We will provide efficient, compassionate, innovative solutions for our patient's health and pharmaceutical care. Our Care will be informative, each to manage, convenient, effective and affordable. Medicine is vital in improving and maintaining our daily health so having access to genuine and affordable drugs any time you need is highly important. This is why, for years, Choice Specialty Pharmacy continues to improve and restore the health of individuals and families in our service area by providing high quality and cost-effective drugs and medical supplies. We understand that when you shop for anything, especially drugs and DME, you would much prefer to shop in one place where everything you need is there. And that is what we are as a company – a one-stop shop for all your pharmaceutical needs, offering a wide variety of pharmaceutical brands and types of medical supplies for you to choose from. Call Choice Specialty Pharmacy for more information or to schedule a consultation with our pharmacist in charge – 832-944-6112. Register online and be one of our valued customers here at the pharmacy. 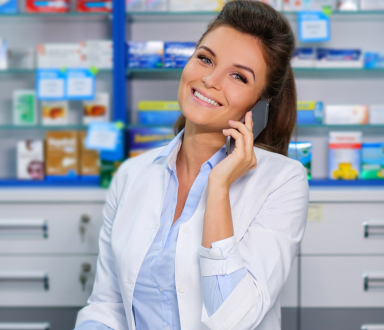 Choice Specialty Pharmacy will be happy to hear from you! It’s so easy to get a prescription refill at Choice Specialty Pharmacy. Simply fill out our online form and we take care of the rest! It will be our pleasure to serve as your pharmacy. Please use our online form to register at Choice Specialty Pharmacy and transfer your details. No one likes lining up and waiting for their turn at the pharmacy. If you want, you can order your medication by phone and we will deliver it to your home. Pharmacy staff proactively searches for any financial assistance available. We believe that costs should not be a hindrance to healthcare procurement. Pharmacy staff proactively searches for any financial assistance available. We at Choice Specialty Pharmacy maintain patient safety. Pharmacists are dedicated to your care and health. A dedicated team of professionals is in place for verification of benefits. We invite you to have a patient consultation with us at Choice Specialty Pharmacy. Please complete the appointment form online. You can talk to us about prior authorizations, medication therapy adherence practices and other ways you can make the most of your healthcare purchases.